Three golden jackals trotted across a meadow. They had followed the scent of an elk herd. After half an hour of work, they grew excited by the added aroma blood. They picked up speed. An hour later, they ran past the borders of their territory and pressed closer to a death scent. The stench of it was everywhere. The smaller jackal, daughter to the mates, trailed behind. On her slightly shorter legs, she arrived to their destination last. She was tired and panting. For the first time in her life, blood did not smell good to her. The clearing felt wrong. She scanned the bushes and underbrush. Where were the elk? They had fled. She caught sight of her parents not far ahead. They huddled together between a hibiscus and a firethorn shrub. Another body lay in that spot with them. 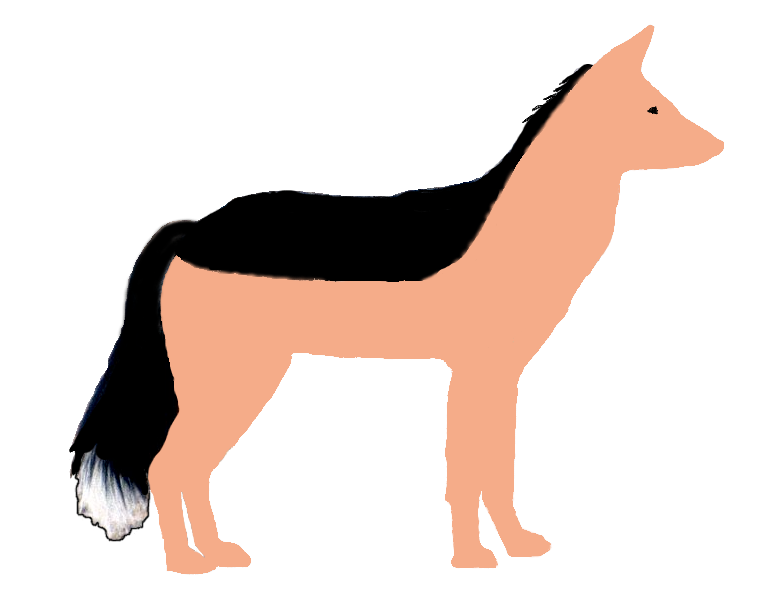 As the jackal loped over, she recognized the form as similar to her own. Someone had crawled near the firethorn for shelter. Closer still, she recognized who it was: her mother's sister. The creature was her aunt, dying. One of her ribs had been broken and laid bare. The white bone of it trembled in the air. An elk had gored her with its antlers. "Come," he mother said to her. "Come say goodbye to my sister." The young jackal did not want to approach. In sadness and in fear, she moved sideways as she crept closer. She sidled east and west but eventually she came to a spot beside her parents but out of view of her dead or dying aunt. She craned her neck to study the body for signs of life. It had moved a little, earlier. Now she understood that it was a corpse. She had seen its last breath. Area jackals gathered in a large group every year. It was how they found mates and kept traditions. Through their yearly meetings, they maintained a system of mentors and pupils. Her aunt had been her teacher. She had been a wise jackal, able to track any animal, even hares and snakes, and she had been strong, tougher than her mate who had died in a fight the year before. She had occupied a difficult territory and had outlived her only two children. "Last month, I told her I would play with her later. I never did." She had sworn she would visit more, too, and listen better. She hadn't. She hadn't wanted to spend time around someone older. She'd forgotten her promises until now. "Sometimes the present moment is too late," said her father. "How sour this day has turned!" she wailed. "No!" Her mother touched her, nose to nose, and then she backed up to look at the remains of her sister. "How sweet this day can be. How sweet is every day when you are alive. Someday, your father and I will be gone. Only you will remember my sister and cherish her. If we have other children, they will carry on our ways. Only you can pass on my sister's spirit." The young jackal looked to the fallen body. A memory came to her of her aunt in better times, laughing and running. A breeze blew over them. She raised her head and gazed around. She watched a cloud as it sailed across the blue sky. The day appeared beautiful and clear.